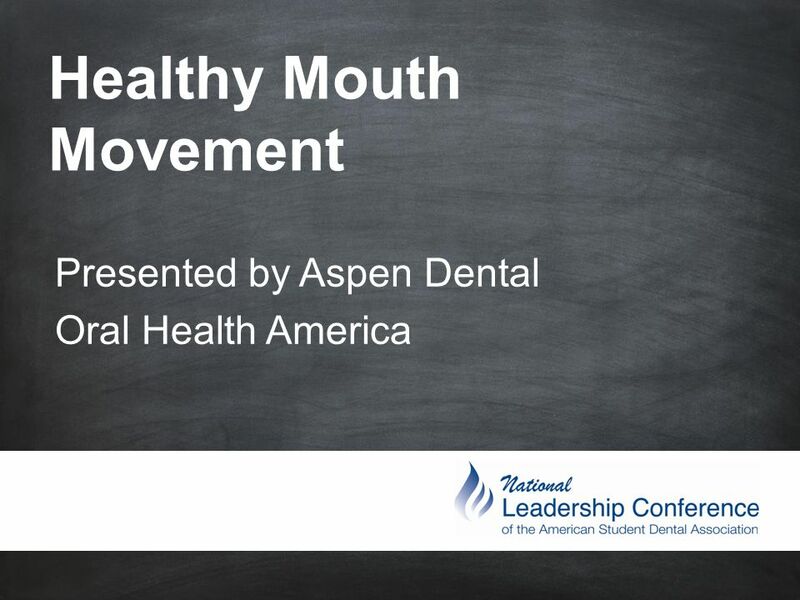 Healthy Mouth Movement Presented by Aspen Dental Oral Health America. 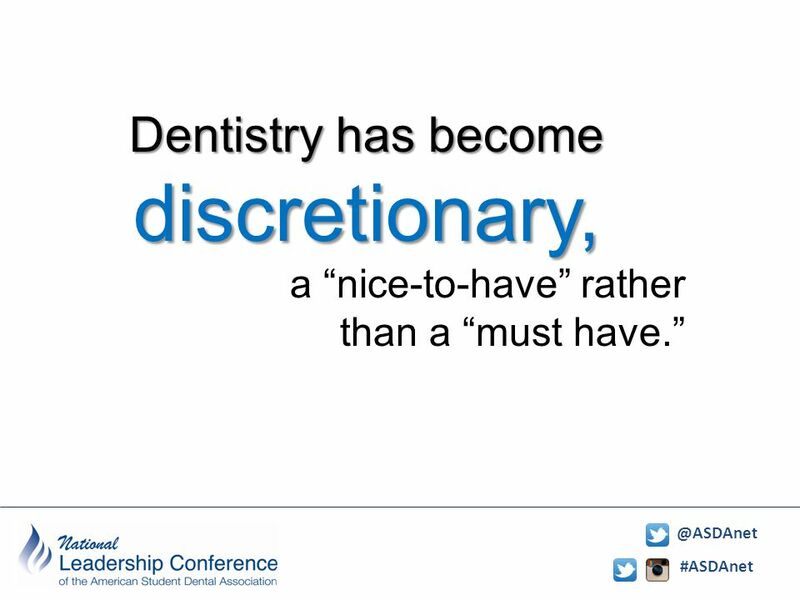 2 #ASDAnet @ASDAnet There is a dental care crisis in America. 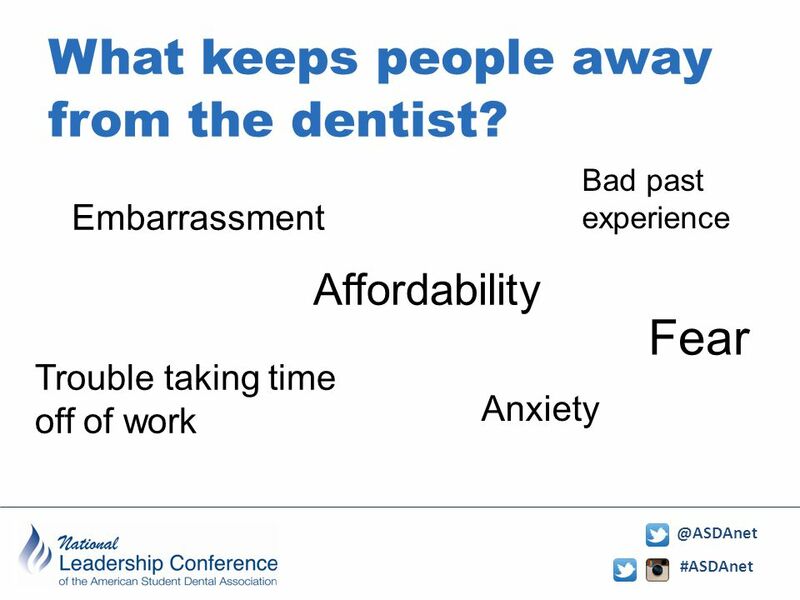 is a dental care crisis in America 47 million 47 million Americans don’t have access to dental care. 1 in 3 Americans doesn’t have dental insurance. 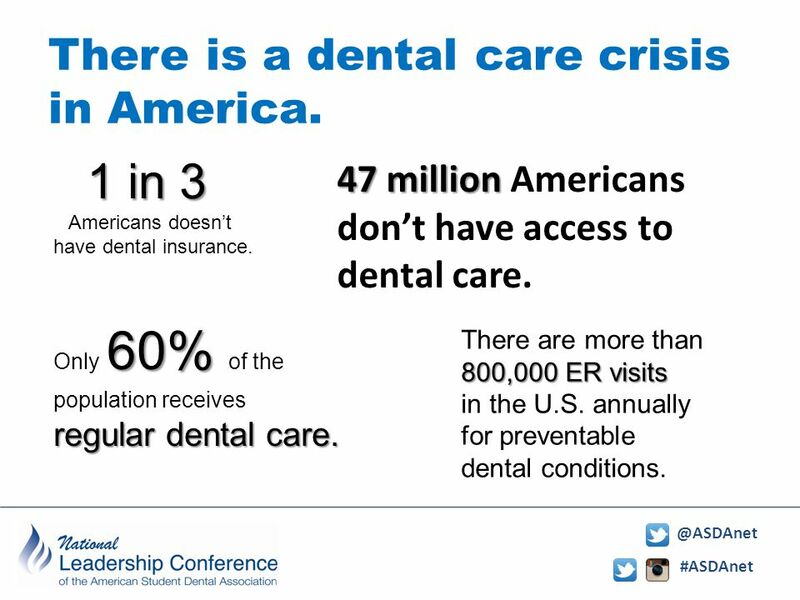 800,000 ER visits There are more than 800,000 ER visits in the U.S. annually for preventable dental conditions. 60% regular dental care. Only 60% of the population receives regular dental care. 5 #ASDAnet @ASDAnet We offer patients a solution offer patients a solution ffer patients a solution We bring affordable, quality care to communities that need it most. We break down the barriers that have prevented patients from getting the care that they need. 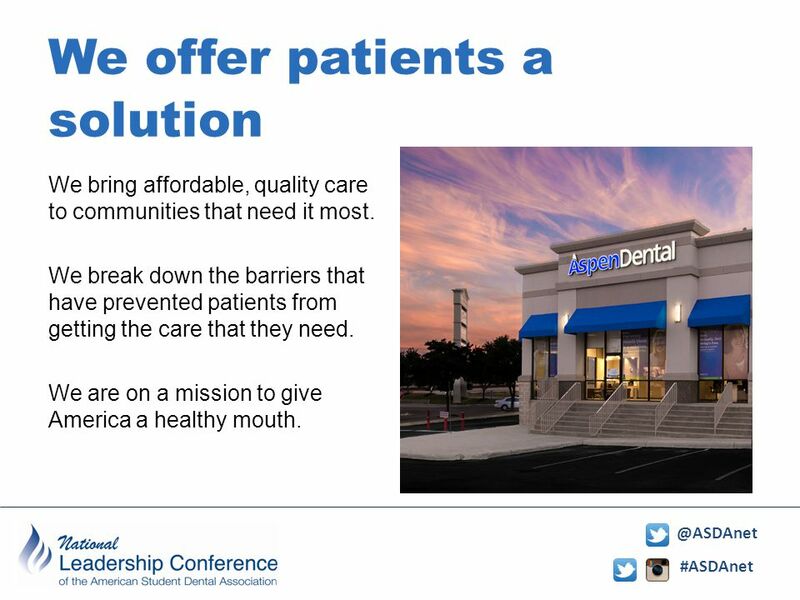 We are on a mission to give America a healthy mouth. 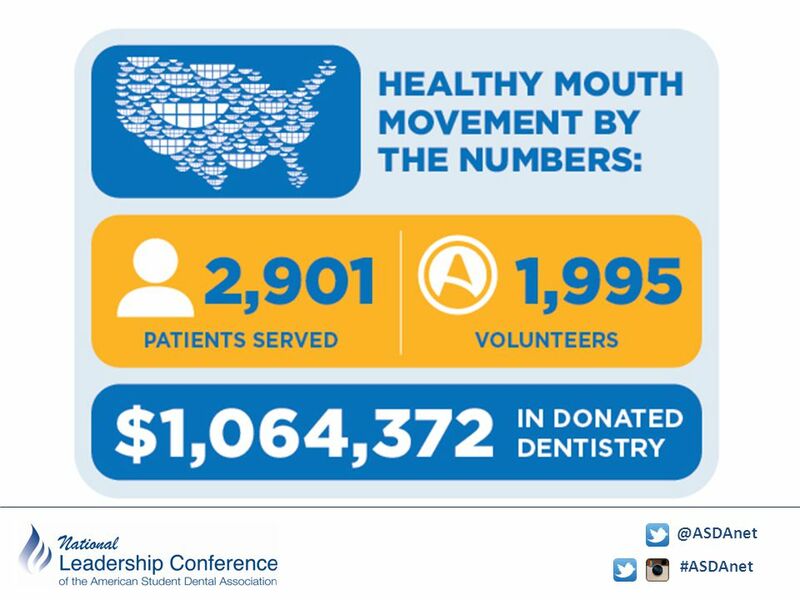 7 #ASDAnet @ASDAnet Healthy Mouth Movement uth Movement Nearly 100 million Americans didn’t go to the dentist last year, and millions more live in communities with little or no access to care. 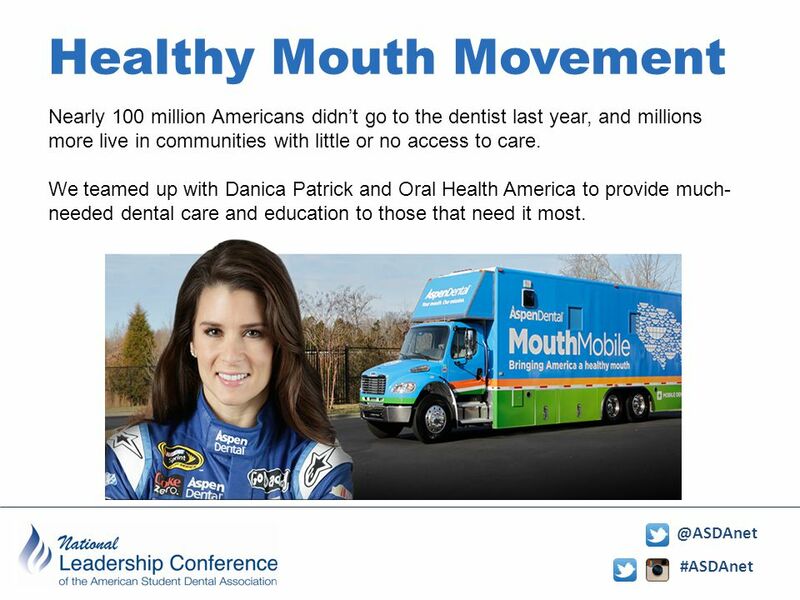 We teamed up with Danica Patrick and Oral Health America to provide much- needed dental care and education to those that need it most. 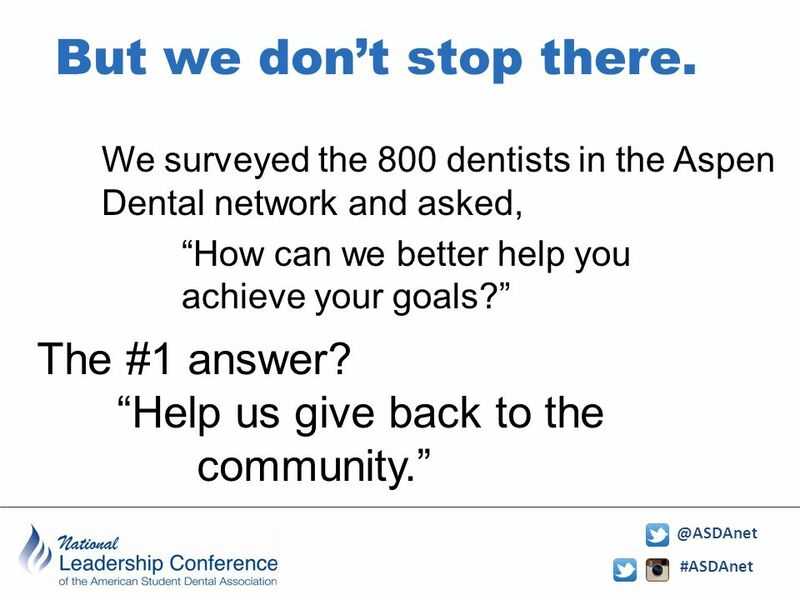 8 #ASDAnet @ASDAnet Healthy Mouth Movement Throughout the year, team members from Aspen Dental practices across the country are participating in a day of treating those in need, free of charge. And with more than 450 practices in 30 states, imagine how many people we can help. 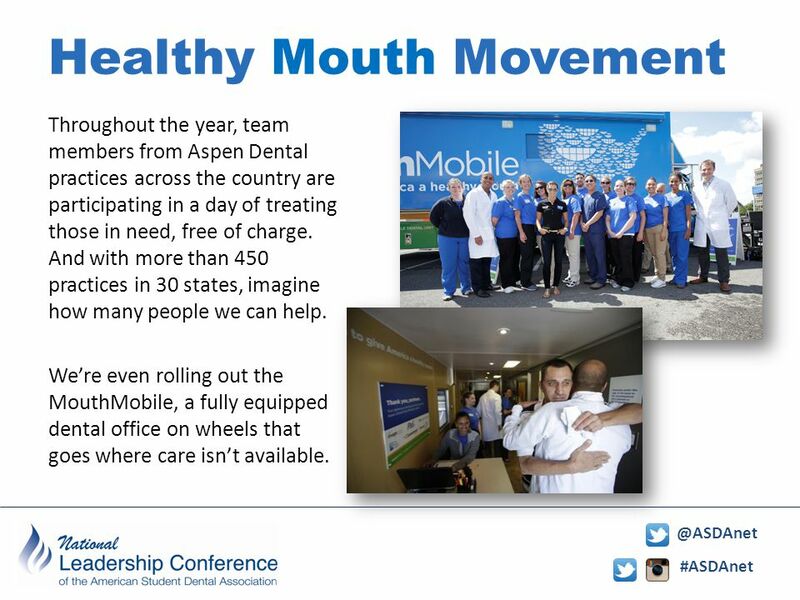 We’re even rolling out the MouthMobile, a fully equipped dental office on wheels that goes where care isn’t available. 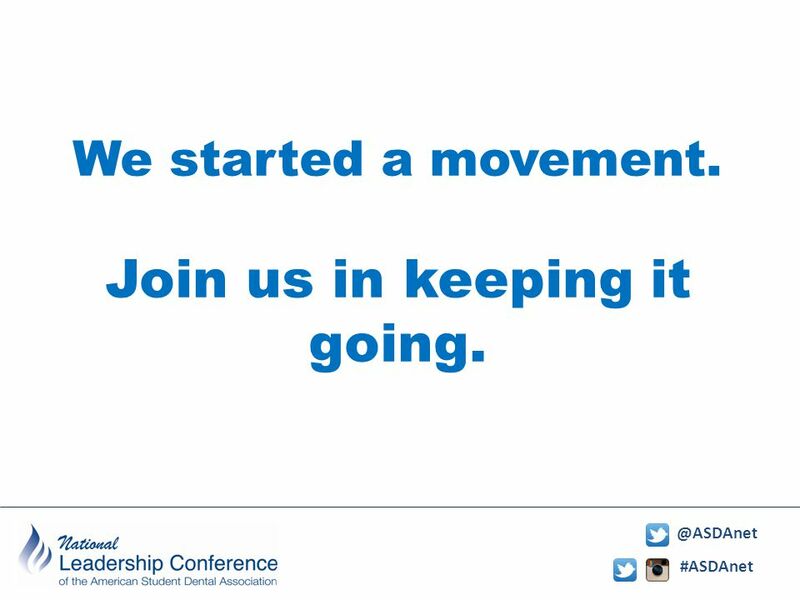 11 #ASDAnet @ASDAnet We started a movement. Join us in keeping it going. We started a movement. Join us in keeping it going. 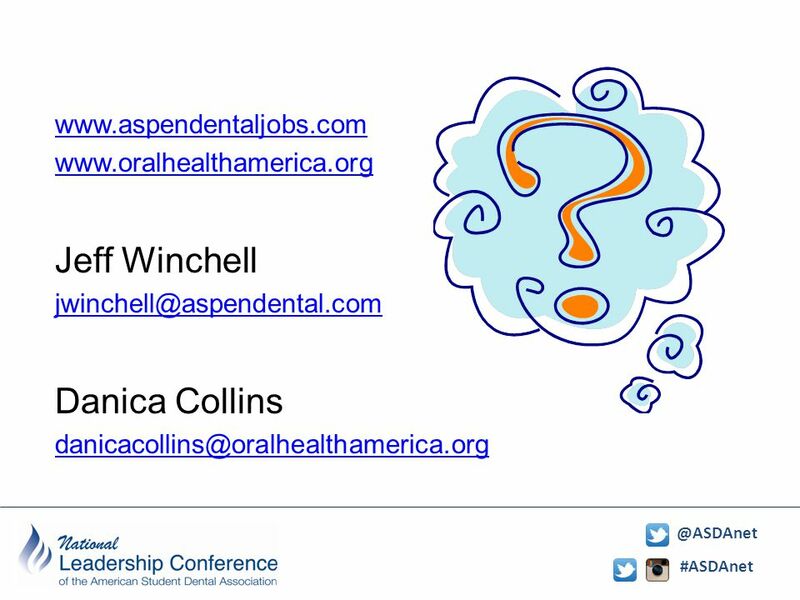 Download ppt "Healthy Mouth Movement Presented by Aspen Dental Oral Health America." RARE – Reducing Avoidable Readmissions Effectively A Statewide Campaign rarereadmissions.org. Name Date 2010 United Way Campaign Title of Presentation Division Name page United Way Campaign Be the Difference: Learn. Participate. Barriers to Dental Care for the Hispanic Population in the U.S.
Open Enrollment for 2012 Benefits AACPSAACPSAACPSAACPS The Benefits of Changing to the Triple Option Plan CareFirst BlueCross BlueShield is an independent. Open Enrollment for 2013 Benefits AACPSAACPSAACPSAACPS Introduction to the BlueChoice HMO Plan CareFirst BlueCross BlueShield is an independent licensee. Source: Commonwealth Fund 2006 Health Care Quality Survey. Percent of adults 18–64 with a chronic disease Only One-Third of Patients with Chronic Conditions. Team Condom Sense Team C Team Tuff Tooth Team Dapper Dentist. Welcome to plexiom! 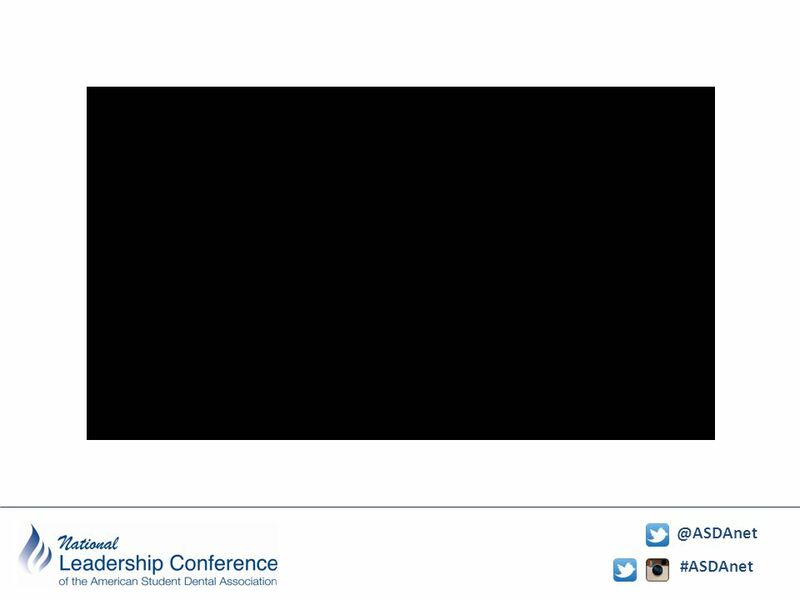 Thank you for taking a few minutes to see what we’re about. plexiom.com. Healthy Choices Benefit Plans & National Guardian Life Insurance Company Work Site Programs National Guardian Life Company, A- rating with AM Best, Began. Team Up. Pressure Down. Partner Engagement. The Issue: Hypertension Heart disease, stroke and other cardiovascular diseases kill more than 800,000 adults. Doctor, my tooth hurts: The cost of incomplete dental care in the emergency room By Elizabeth E. Davis, Ph.D. Amos S. Deinard, M.D., M.P.H. Eugenie W.